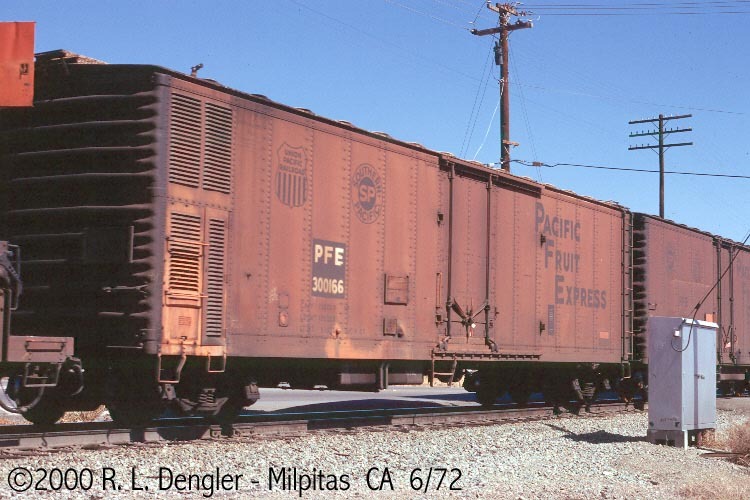 These 50' mechanical refrigerator cars were built by SP Equipment Company in 1954-55 and featured XXXX ft3 capacity and 6'-0" plug doors. Meat rails were added to 140 cars in 1963 and they were renumbered as above. 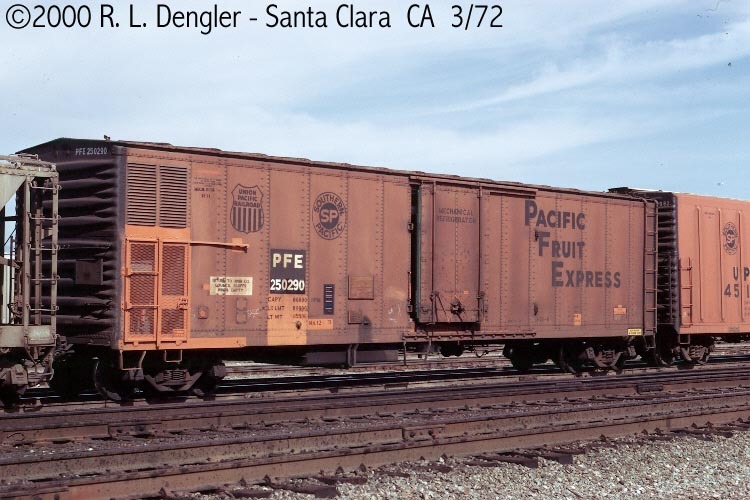 These meat service cars were renumbered again as above in 1973. 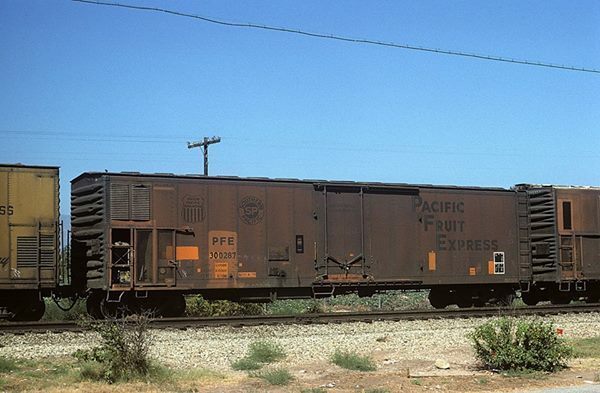 An unknown number of remaining cars had their mechanical reefer equipment removed in 1972-74 and were renumbered in the 390138-390337 block for TIV service.